India’s Vice President Hamid Ansari has said that the motive behind issuing reservations in educational institutions is to ensure equal opportunities for all students across the country. “The Indian Constitution ensures opportunity for all its citizens. In case of inequality in certain cases, the state government must intervene to take necessary actions to place them on an equal footing,” Ansari said while addressing a gathering at Sophia College for Women in Mumbai on Tuesday. The Vice President answered queries on wide ranging topics covering education, sports, role of the media and international relations in an interactive session with the students. The students also posed questions on sports to which Ansari said that the Right to Sport should be implemented as a part of the Right to Education (RTE). 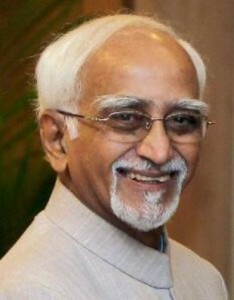 Although parents in Mumbai have complained of their children being denied admissions to schools under several pretexts, interestingly, Ansari seemed to be fairly satisfied with the implementation of the RTE Act. 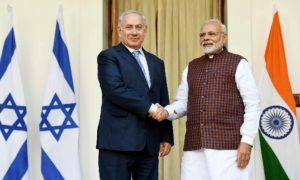 “Through the Right to Education (RTE), the process of admitting children in schools is largely being met, but the school system fails to impart quality education,” Ansari said, adding that the situation could be changed through society’s intervention rather than government initiated measures. He also expressed disappointment over the current representation of women in Parliament. There are only around 60 women in a house of 545. He hoped the Women’s Reservation Bill would be passed in the Lok Sabha soon.